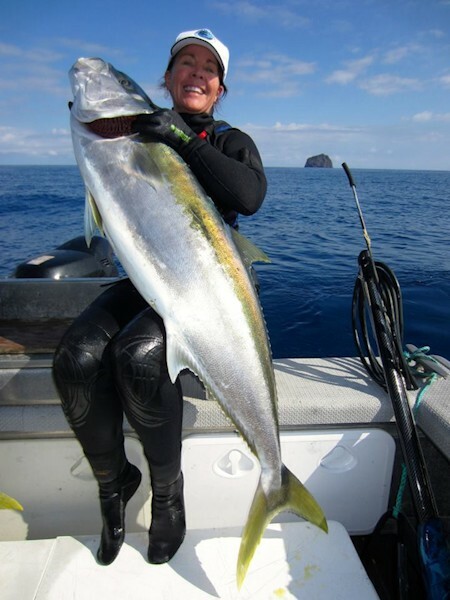 Diving For A Cause in New Zealand is off to a grand start with some nice kingfish harvested by the team, all thanks to our captain Joe Burke. 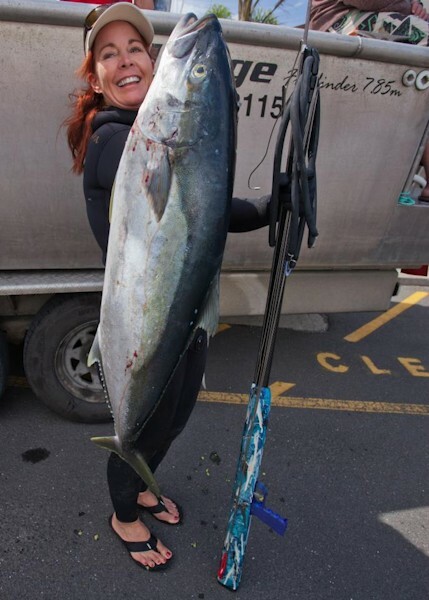 Colleen Gallagher put the first one on the boat, and got it started.Love my Daryl Wong speargun! 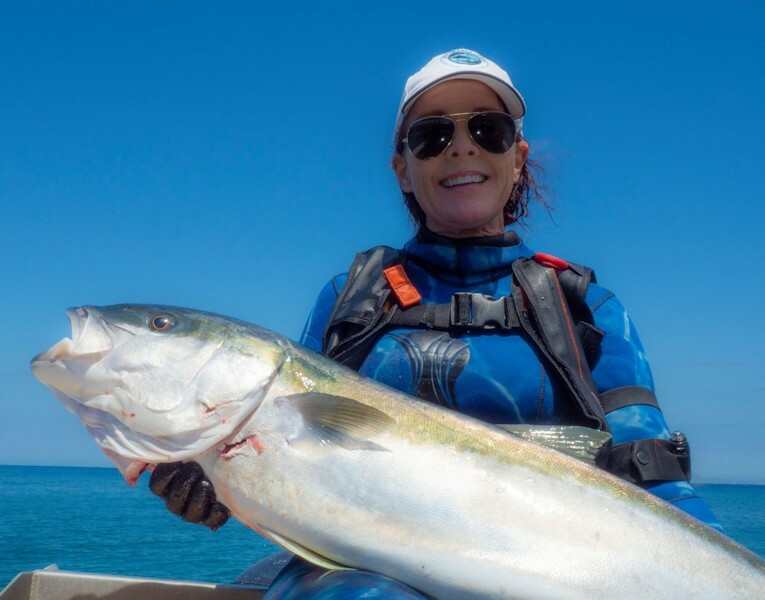 Colleen Gallagher landed her personal best, 60 lb Kingfish! My last day of diving was the best!! Thank you Daryl Wong for a beautiful speargun. Those double rest tabs made it so easy to load over and over! Thank you Daryl Wong, for a nice gun! landed a beautiful King today! Thank you Perrin James for a great pic!